Retired Army Sergeant First Class Michael Beaulieu shares a tender moment with his wife Wendy during the marriage rededication ceremony held at the end of Week Seven. 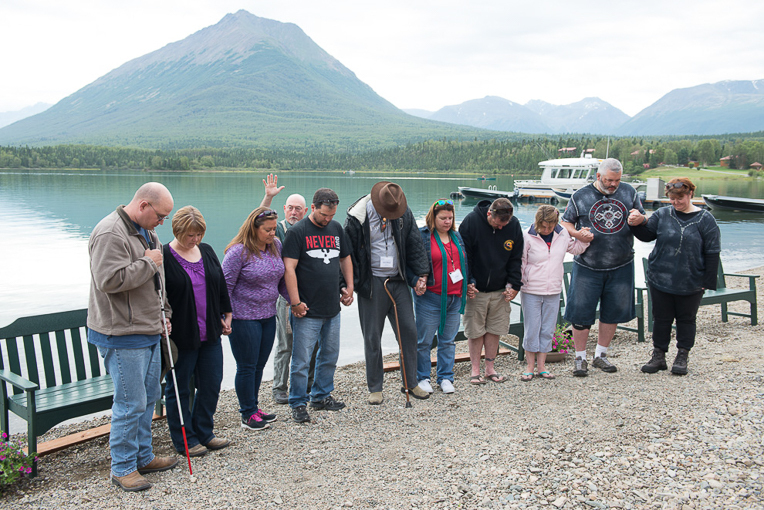 Hope became a theme for Week Seven of the Operation Heal Our Patriots summer season in Port Alsworth, Alaska. “Jesus returns us to hope,” Chaplain Jim Fisher said. Though many wounded military personnel may never return to their pre-war “normalcy,” he said, they can find hope, purpose, and meaning for their lives through a saving relationship with Jesus Christ. 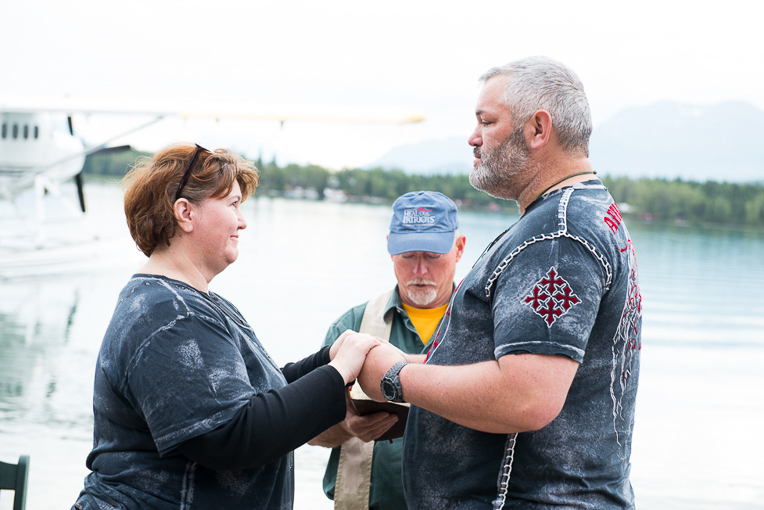 Five of 10 couples chose to rededicate their marriage to God and each other along the shores of Lake Clark in a ceremony last Friday, July 18. Four participants were also baptized on Friday. 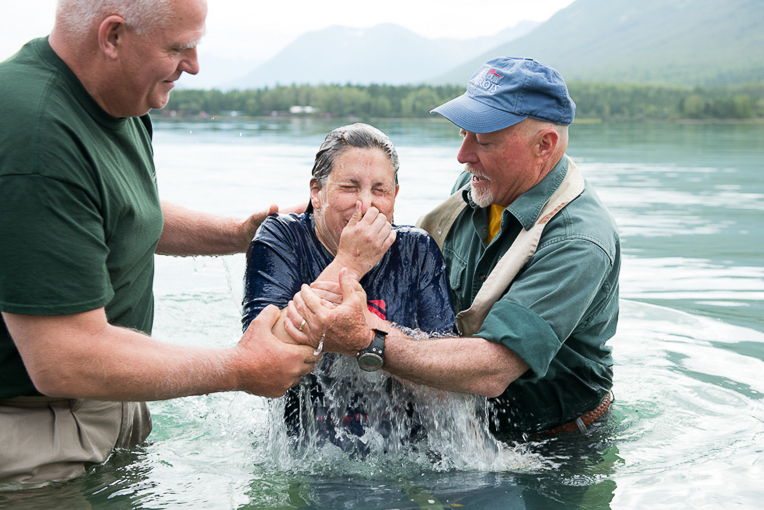 A pair of couples accepted Christ as Lord and Savior earlier in the week. Operation Heal Our Patriots, a ministry of Samaritan’s Purse, serves wounded military personnel and their spouses by offering marriage enrichment, physical refreshment, and the encouragement that comes only through the Gospel of Jesus Christ. Each week for 15 weeks (June–September), ten couples are invited to Alaska for a weeklong experience at Samaritan Lodge where they enjoy a variety of activities designed to bring them closer to God and each other. 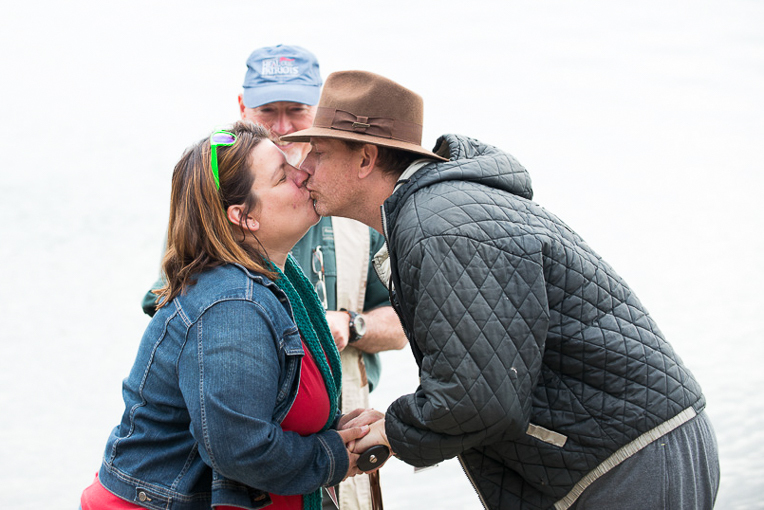 Retired Army Sergeant George Wilmot and his wife Jenn rededicated their marriage while in Alaska, sealing it with a kiss. They also placed their faith in Christ as Lord and Savior during the week. George was in a terrible Humvee accident outside Mosul, Iraq, in November 2009. His left arm was severely injured; he also suffered a traumatic brain injury and a crushed lower back. Retired Army Sergeant First Class Michael Beaulieu and his wife Wendy too were among couples rededicating their marriage. Between 2003 and 2010 Michael served three combat tours, deploying both to Iraq and Afghanistan. After surviving multiple bomb blasts (IEDs), two gunshot wounds, and exposure to two rocket attacks, he struggles with chronic post-traumatic stress disorder and traumatic brain injury, among other issues. Five couples renewed their vows in a ceremony led by Chaplain Jim Fisher on the beach. Cara Folkers was baptized by Chaplain Jim Fisher and Pastor Pat Fleming, Operation Heal Our Patriots aftercare manager. Her husband retired Army Sergeant Tim Folkers, injured in Iraq during multiple deployments between 2003 and 2007, was also baptized on Friday. 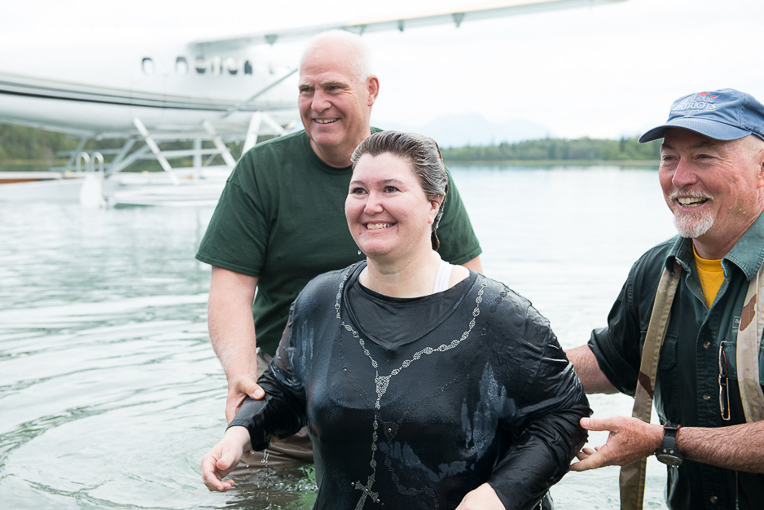 The couple had been churchgoers but had not put their faith in Christ until they did so last week in Alaska. Wendy Beaulieu gave a brief testimony before being baptized. She told the gathered crowd that Jesus had never abandoned her despite a number of significant challenges in her life.